Due to the popularity of the “Lucky 7” jackpot 777 prize, Electrocoin released the Magic 7 slot and for the first time dropped the Bar X name from the cabinet. This machine design was primarily aimed at women players in Bingo halls and arcades with its softer colours and less emphasis on the hard black and white BAR symbol. Magic 7 Slots became a success overnight and is still available today in various incarnations. Regular arcade visitors will remember fondly when the Magic 7 was launched it was on 7th January 2003 when Electrocoin were updating the Bar X catalogue and replaced the O symbol for a “Lucky 7” symbol. Thanks to new stakes and prizes at the time, the most popular iterations were with a 20p or 25p stake and Jackpot of £25. The Magic 7 was unique in that because it now had 3 winning symbols vs. 2, it could return wins more often to the play and in many locations the bottom prize for 3 X’s was £7. Electrocoin developed the arcade version of Magic 7 back in 2003 and to this day it is still being played in arcades and bingo halls across the country. It is now available online in conjunction with Dynamite Idea who became part of Boss Media and are now part of Gtech2g. 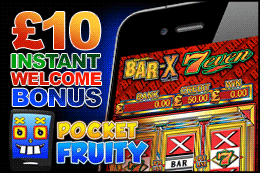 Magic 7 is a variable stake game with 1 win line and the famous BAR X and Magic 7 symbols. Typically 3 X’s return 10x your stake, 3 Bars is 20 and the Jackpot is reserved for 3 7’s at 50x stake. 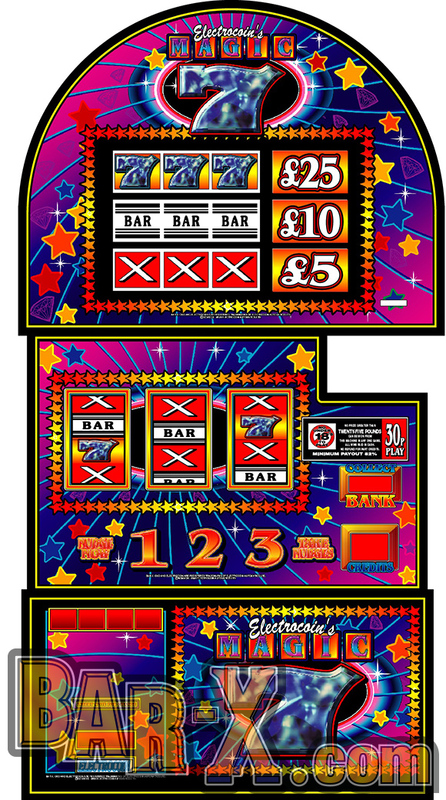 The game maintains a resemblance to the original machine with holds, nudges and an autobet feature. It was the first of the Electrocoin games to go online and is still popular today with many sites including Gala Coral and Sky Vegas. The game features the Electrocoin 3 holds in a row… and it’s a win as well as after nudges in autoplay mode. It was first launched on Sky Vegas and is still going strong today despite the competition from 5 reel progressive slots.